That's some cool stuff!! Can't believe you have been hiding it!! 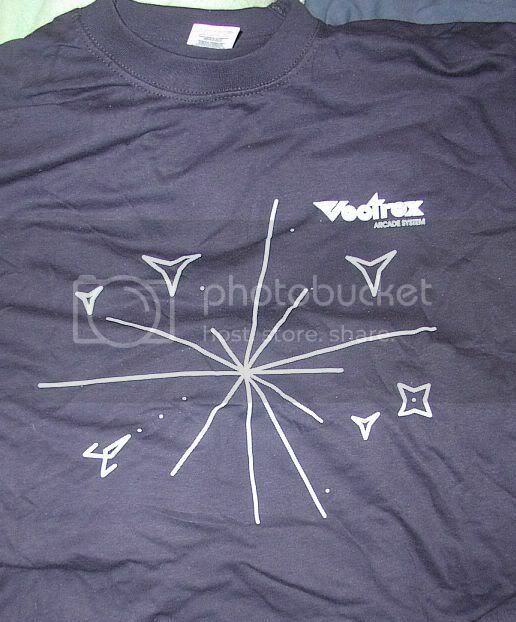 I recently contacted the guy from vectrex.nl to see if he still happened to have shirts available. It was a fruitless effort. Yeah those have been sold out for quite some time now. Maybe he'll eventually do another one? 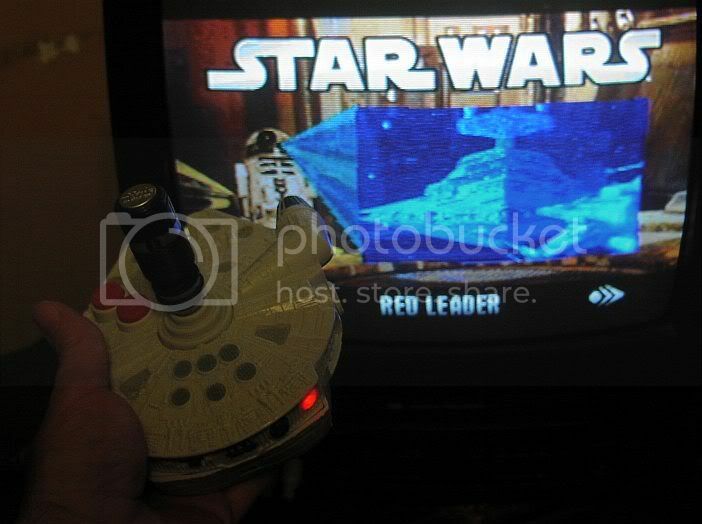 Star Wars Original Trilogy Plug It In and Play unit. It's not bad but more geared towards younger kids, as the games are mostly easy. I give it a 6 out of 10. Cool!! 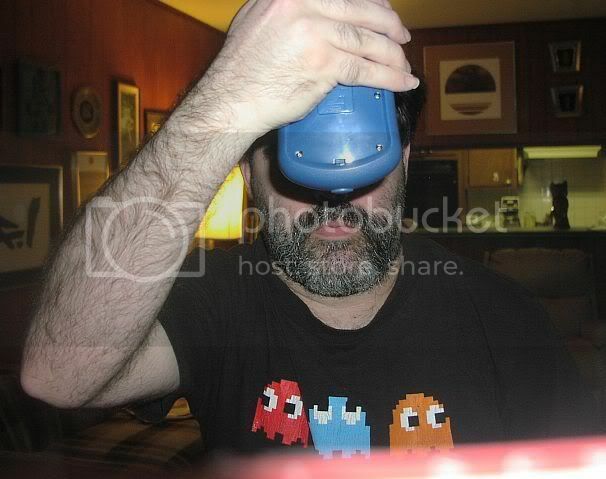 I have never seen the Star Wars Controller and really like the shirt. Thanks for sharing. 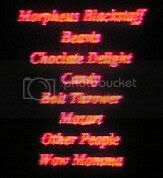 I'm surprised you hadn't seen the Star Wars one, as of last year it was still being made, it still might be now. It's not bad, but I don't want one enough to keep myself (I bought it for the nephew for one Christmas) as the games are too easy. One game is a rip-off of The Return of the Jedi arcade game, it's funny! I quit going into the toy aisle when the kids could talk. I can't even go down the video game aisle when they are along. So I knew I was missing out on some good stuff but just didn't know what. But yeah, the Star Wars Trilogy is one of the most popular, longest-produced ones (I think; if a show like 1 vs. 100 bombs, then a lot of the plug and play systems based on it will disappear just as quickly). It is still a very cool looking joystick!! It's actually somewhat comfortable to use too, surprisingly (I thought it'd be stiff and uncomfortable). Think of how the Atari 5200 joysticks feel, but with better control (luckily!). It's about like that. 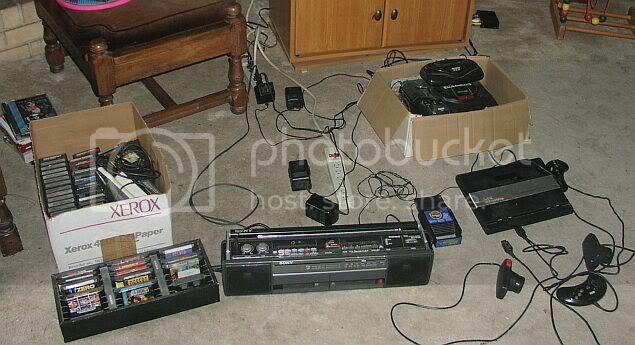 Anymore cool joysticks in hiding? 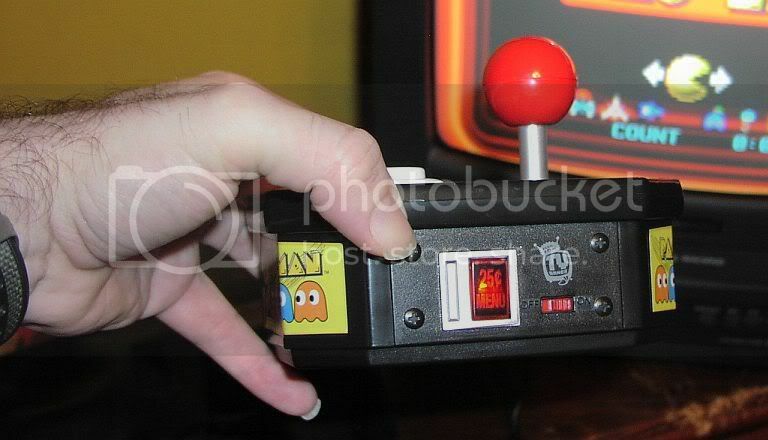 I don't know about "cool" but I've got some small 2600 joystick that I can't recall what the name of it is offhand. Oh, and a 2600 trackball too. Need to try to get it fixed, it can only move game objects up and down, not left and right. The button still works on it too if I remember correctly. 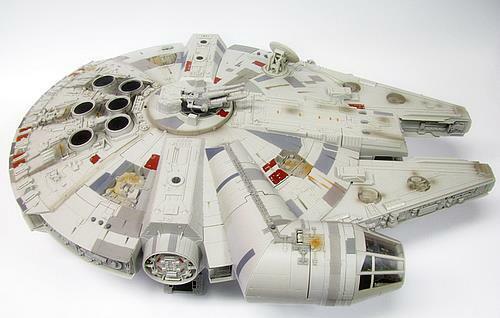 You should modify an old Millenium Falcon toy and put an entire 2600 in there.